Gary has a post on his site that fits my Monday Bonus perfect. I was driving home yesterday and noticed a big cloud of smoke near my house. I drove over and noticed a truck had caught on fire, but I was just a bit late. 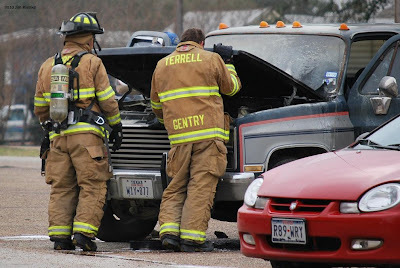 Its easy to overlook the job our firefighters do for us in Terrell. One of my goals this year is to photograph them on the job. 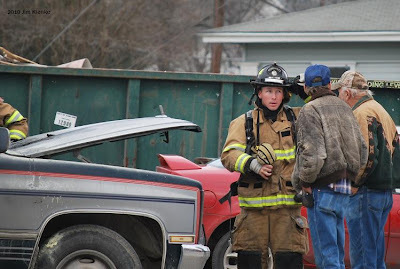 Both TFD and TVFD.